The campus is built on 175 acres, with enough space for more than 12,000 employees. 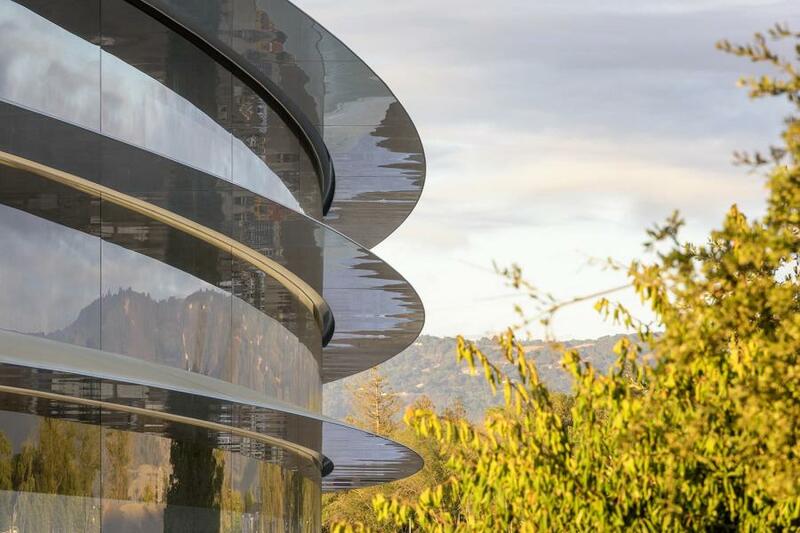 When construction workers' snapchats of the unfinished Apple Park in Cupertino, Calif., went viral last month, it was easy to see that the complex boasted some pretty impressive features. Construction, which began in 2013, is expected to be complete by the end of the year, but you don't have to wait until then to find out more about the facility's features. The main ring measures in at 2.8 million sq. ft. The Steve Jobs Theater is constructed in another, smaller ring that measures 165 ft., and includes 20-ft. glass walls and a carbon fiber roof. Stairs starting at the ground-level glass structure bring attendees into the theater itself, which seats 1,000, built into a hill. Elevators next to the stairs rotate around as they travel down into the theater. The 100,000-sq.-ft. Fitness and Wellness Center includes a dental practice and yoga space. There is enough parking, both above and well below ground, for 8,600 cars. The land itself is said to have cost about $160 million. Estimates for the theater are $161 million. The fitness center has a price tag of $74 million. A tunnel weighs in at $25 million. The complex's design is meant to draw workers together with the nature that is all around them, hence the years and yards of curved glass walls. Employees have the opportunity to take one of the 1,000 available bicycles to travel between buildings, while enjoying the sights of the property's orchard, pond, meadow and 9,000 trees as they go, Digital Trends reported. The main building has a steel base, allowing for the structure to move almost five ft. without losing power if an earthquake strikes. For additional earthquake safety, the walls are made of safety glass to prevent breakage. Sloping glass extends out on each level, adding shade and prevents the rain from splattering on the glass walls. There are nine separate entrances, including a series of four-story doors that can open to let in nice weather. The café seats 4,000 and is able to serve 15,000 lunches each day. 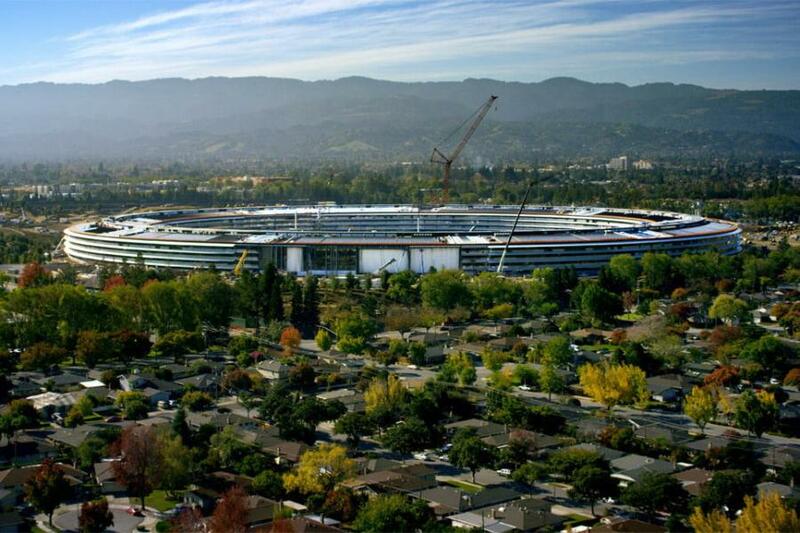 The complex runs on 100 percent renewable energy, which Apple CEO Tim Cook said is powered by “one of the world's largest on-site solar installations,” Digital Trends reported.